Getting huffy about President Obama using video games as a rhetorical punching bag in speeches on personal responsibility is pointlessly argumentative. But Microsoft has responded to POTUS' latest call-out, this time of the Xbox. In his speech to the NAACP at its 100th anniversary celebration, Obama said parents can't demand achievement in school and then "fail to support them when they get home. For our kids to excel, we must accept our own responsibilities. That means putting away the Xbox and putting our kids to bed at a reasonable hour." 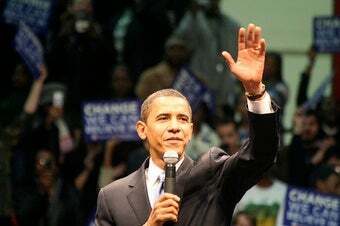 It was notable to me in that, in the first African-American president's first address to the African-American community, at a gathering of that community's premier advocacy organization, the Xbox line was used in the lead paragraph by The New York Times. Anyway, Microsoft's reply agreed with the president, in principle, and touted its console's parental controls. We agree with President Obama that it's a time for families to work together so that kids use media in ways that are safe, healthy and balanced. Xbox 360 is the only console gaming system that has a timer feature allowing parents to set time limits for their kids, as well as parent controls to enable parents to set limits on what their kids are playing and watching. As long as Obama isn't specifically saying the Xbox 360 rots your mind or programs little Johnny to kill grandma, Microsoft has to love the attention. At least from a brand-extension point of view. After all, It's the president using their brand name, and doing so in a way that makes it synonymous with video gaming. Pretty powerful endorsement, albeit backhanded.